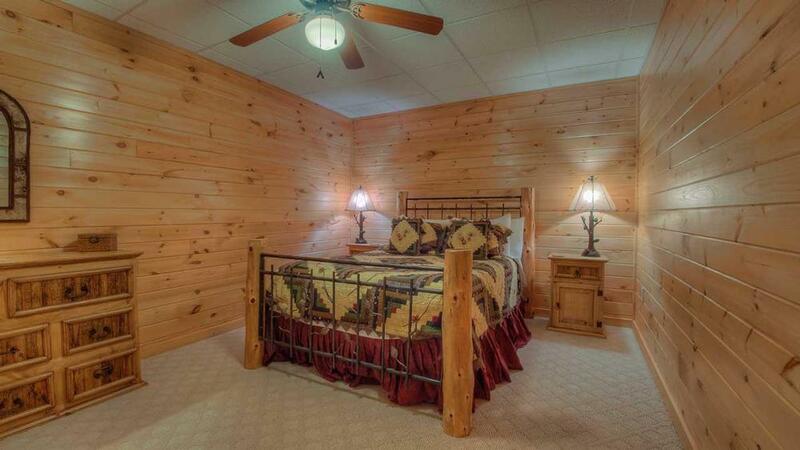 If you're dreaming of fun and relaxation, you'll find it here at Dreamcatcher. 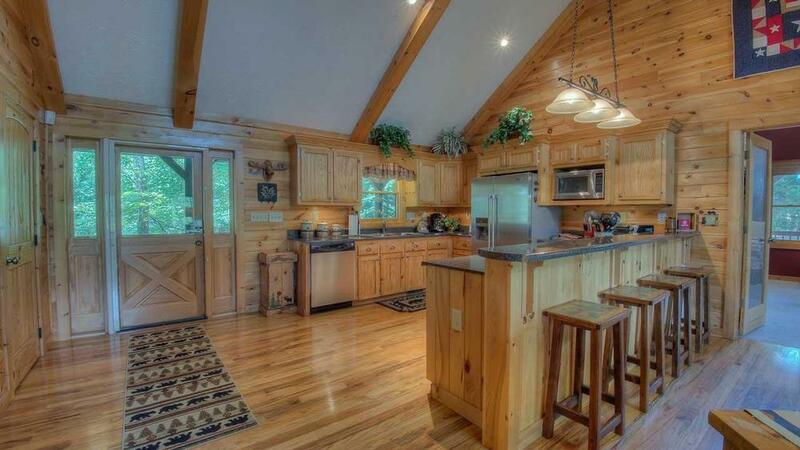 Few North Georgia cabin rentals offer the amenities and close proximity to mountain adventures that this spacious cabin affords. In some Native American cultures, dreamcatchers allow only good dreams to come through to someone sleeping, while bad dreams are caught in the net and disappear in the light of day. The name Dreamcatcher is befitting for this homey cabin then, as only good times happen here, while troubles are stopped at the door. Open that door and you'll be welcomed to a place that will create many future memories. With its amazing openness, vaulted ceilings, stone gas fireplaces and dormer windows, the large main floor offers great natural warmth and light. 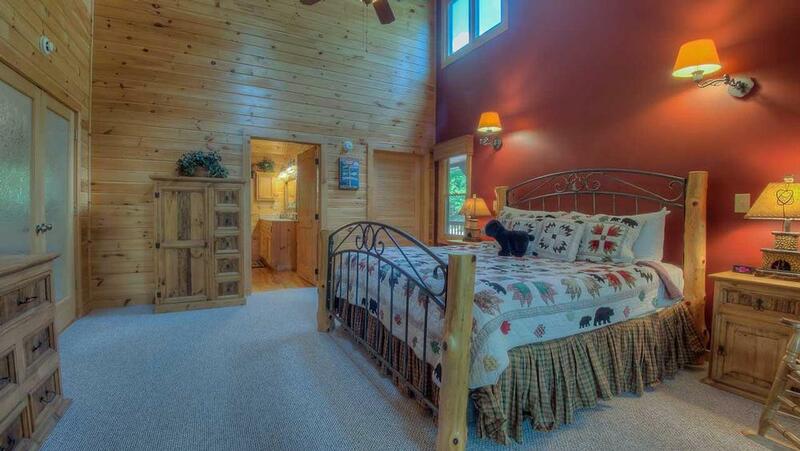 Tastefully decorated with luxury furnishings and unique accents, the cabin creates a cozy, comforting feeling. 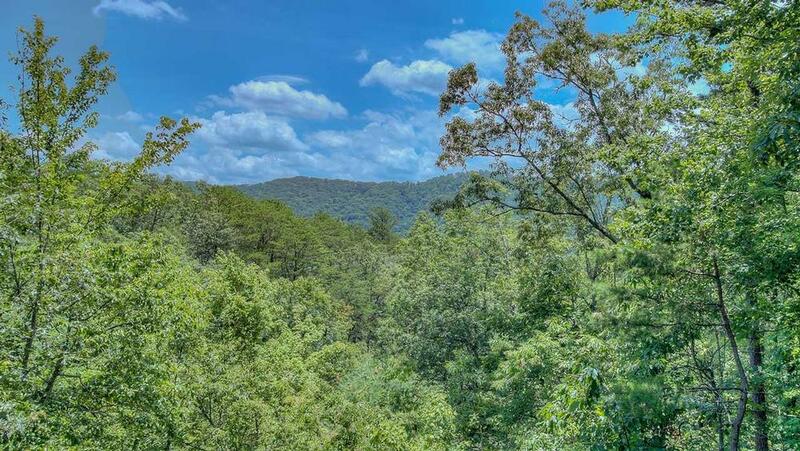 Located in the beautiful Mountain Tops community, Dreamcatcher is only five miles from the Aska Adventure area and town of Blue Ridge. Take full advantage of your prime location by hiking the MacKaye Trail Head or boating on Lake Blue Ridge or kayaking the upper Toccoa River for some fun in the sun. Enjoy beautiful views while horseback riding, then head to Mercier Orchards for fruit picking or Cartecay Vineyards for winetasting. Like the dreamcatcher, you'll continue to 'catch' fun times back home! There are games galore in the rec room downstairs. 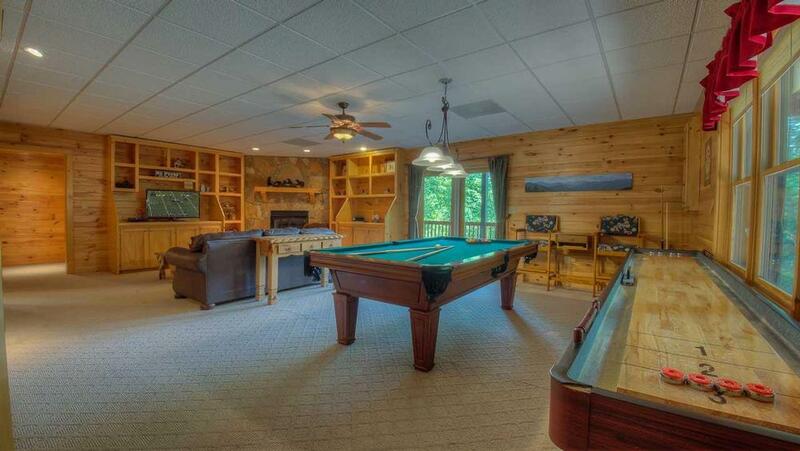 Grab drinks at the wet bar and play pool, shuffleboard and board games. 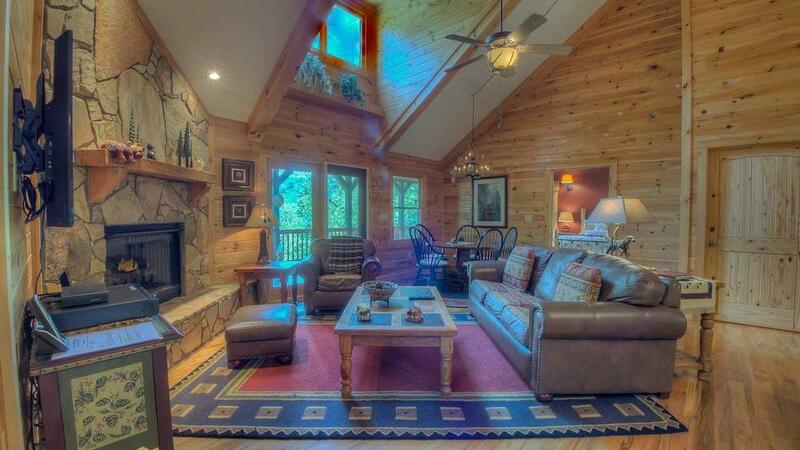 Or watch the 42' flat screen HDTV from the comfy leather sleeper couch while the fireplace glows nearby. 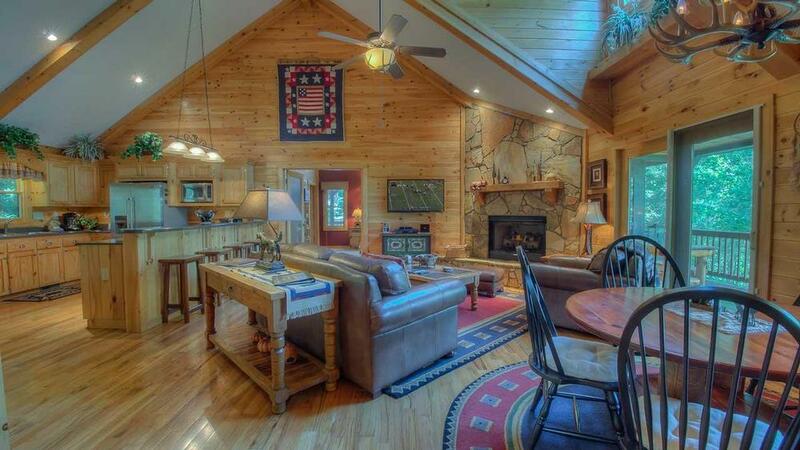 As the sun sets, take in phenomenal mountain views from the massive 1800 sq. 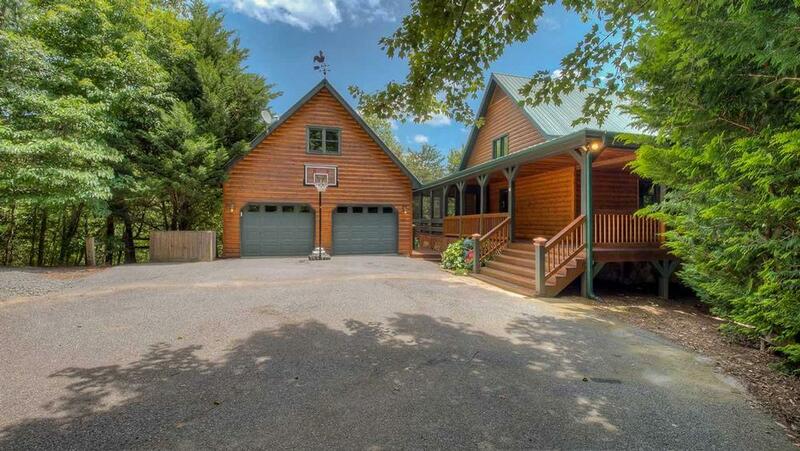 ft. wraparound front porch. 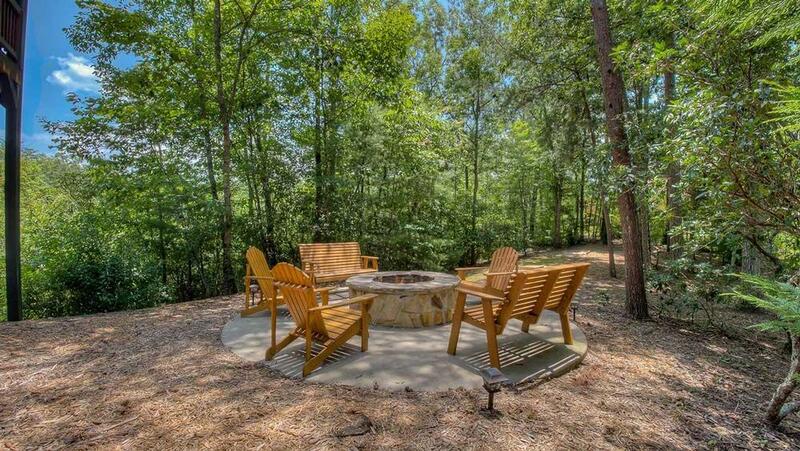 Have dinner then make s'mores on the portable fire pit. Stargaze while soaking in the hot tub. If you're celebrating a special occasion, the fully-equipped kitchen's ready with all the dishes and cooking utensils you'll need, baking pans and sheets, turkey baking pan, electric fryer, Kitchen Aid blender, Bosch Tassimo single-cup and 12-cup coffee maker, plus margarita, beer and wine glasses. Let the festivities begin! 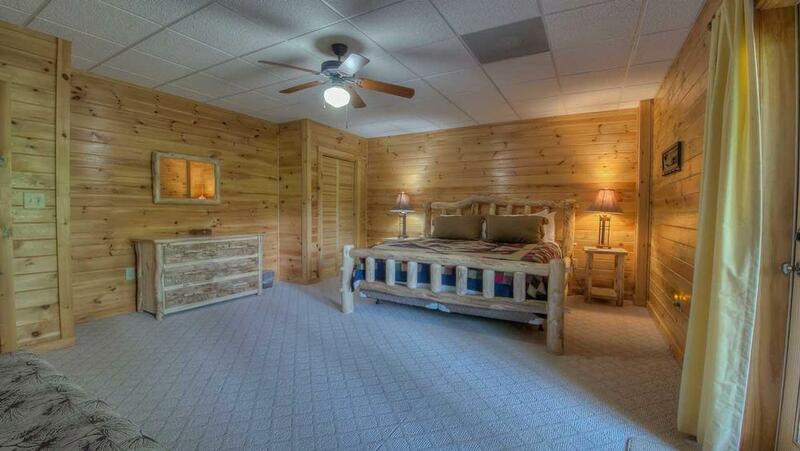 Sweet dreams are in store with four huge bedrooms adorned with log furniture and cozy patterned quilts. Curl up in either the main floor's king or queen master suites, or one of the bedrooms downstairs— a king bedroom with a queen log futon or the queen bedroom. Wake up ready for the fun to begin all over again! Dreamcatcher is the stuff great memories are made of—Let your dreams come true here while your worries pass you by. 12/18 - We enjoyed everything. 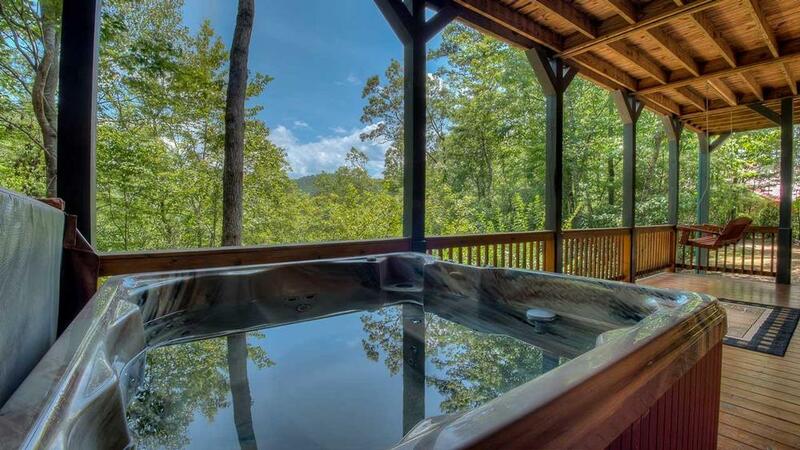 The hot tub, the fire pit, a fireplace on both levels, enjoyed the fact that we did not have to leave the house. Such a wonderful experience. Customer service was excellent. Such an easy process. 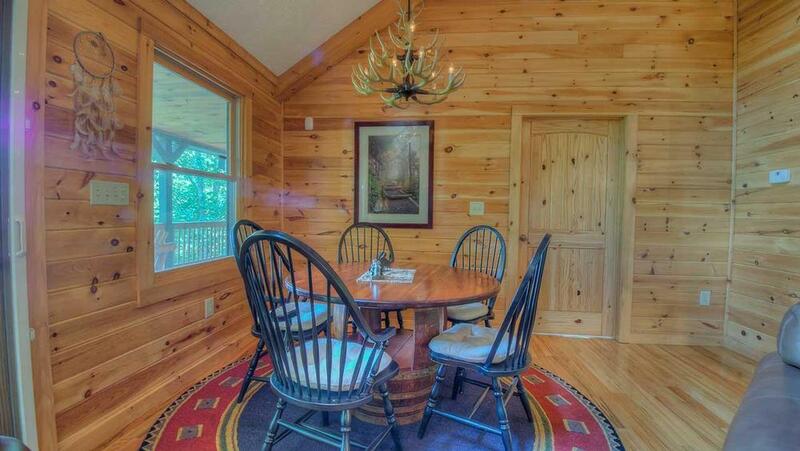 11/18 - This was the most beautiful cabin I've ever rented. The cleanliness was what struck me first when I walked in the door. Well stocked, well organized and beautifully decorated. The house had every amenity you could want. 11/18 - It was very quiet and cozy. 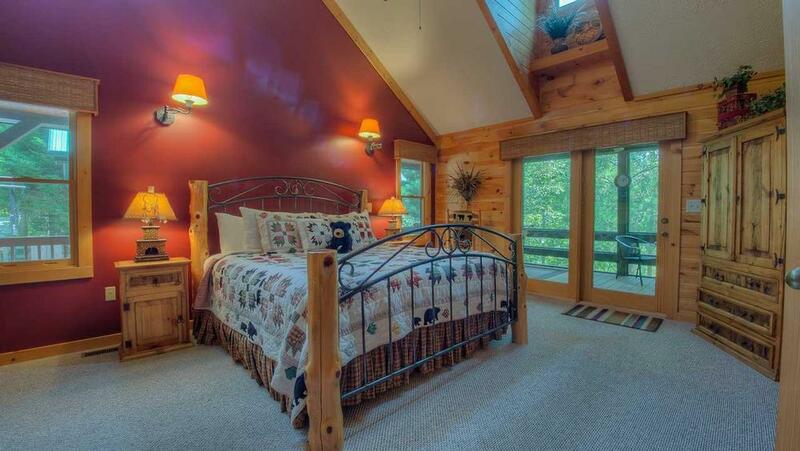 The bedrooms were spacious, the family and dining area was cozy and toasty with a working fireplace. I absolutely love the interaction and experience, I cannot wait to book our next trip. Thank You! 07/18 - The owners have thought of everything! This was the best equipped cabin we have ever rented. 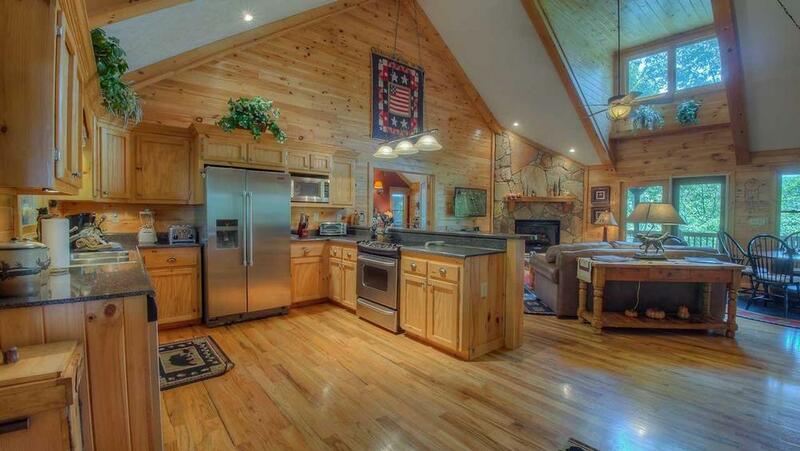 Plenty to do even if you never leave the cabin. The kitchen is stocked with everything you could need also. Escape to Blue Ridge staff was friendly and helpful with every contact. They even had recommendations of things to do in the area. 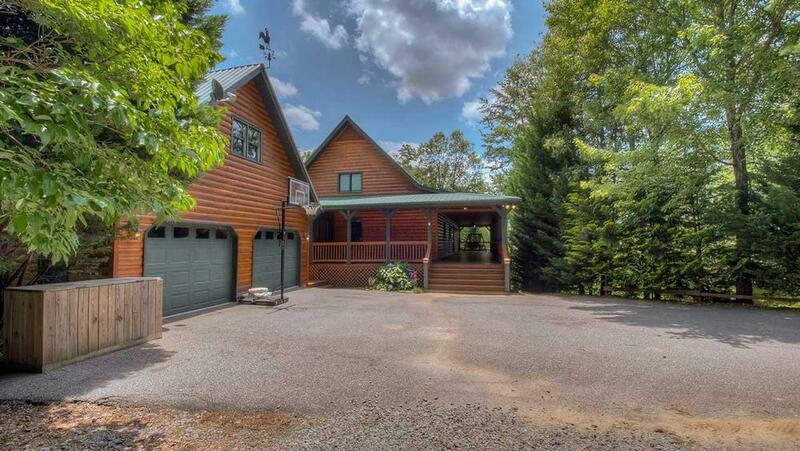 09/17- This house has it all and it is the perfect fit for a group of 8. 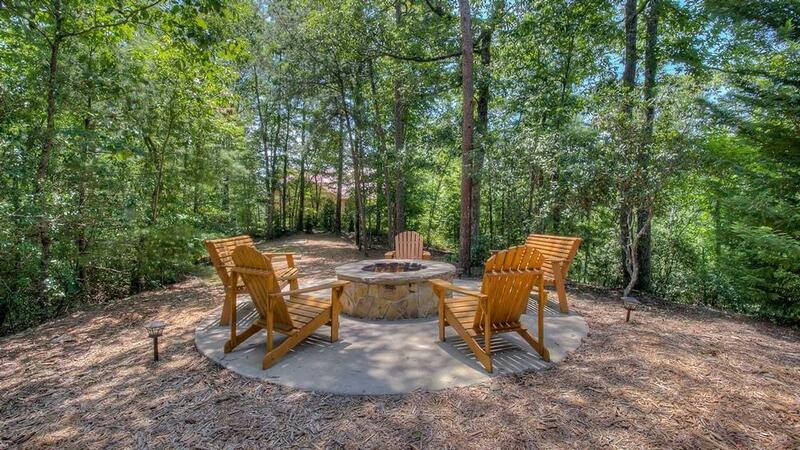 It is comfortable and relaxing, great porches, fire pit. 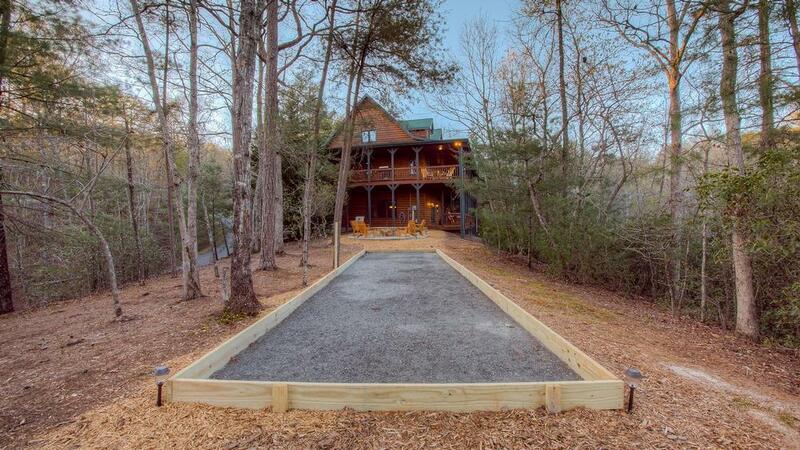 New this time, corn hole and horseshoe pit. Beds are comfortable. Great company to work with. 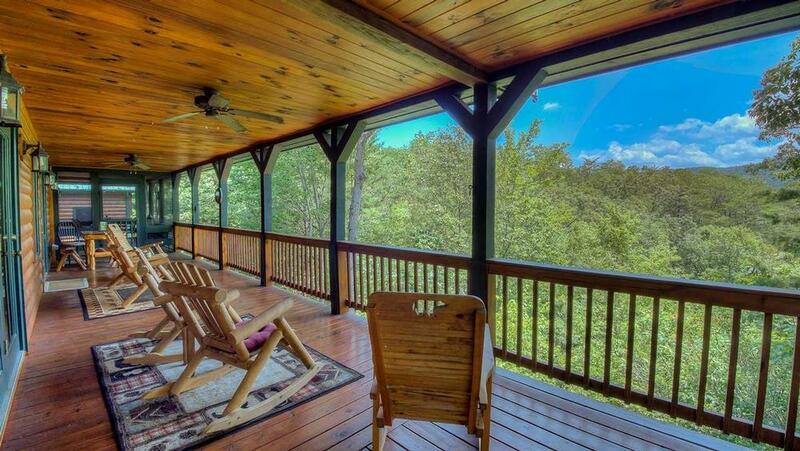 07/17- This is the third cabin we have rented with Escape to Blue Ridge and it was by far our favorite. It was roomy and cozy at the same time. 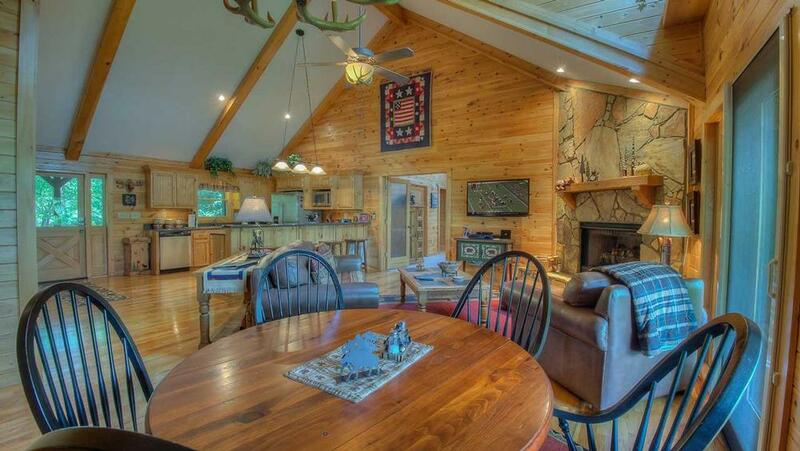 We loved that the cabin provided so many indoor/outdoor activities. The fire pit was awesome! And it was so close to everything we wanted to do. Your staff are very personable and professional. They are always so pleasant to talk to. 02/17- Comfortable bed. We will be back! 02/17- We loved the layout of the cabin. The staff were very helpful, on time and on point with everything provided. 01/17- We really enjoyed the spaciousness of the cabin. Friendly staff. 10/16- This home was comfortable, and met every need for a relaxing weekend. The bedding/linens were very nice. Plenty of comfortable seating for 8 people, both indoors and out. The staff were very friendly and helpful. 07/16- The Dreamcatcher exceeded our expectations. The attention to detail in all areas of the house was amazing. 07/16- It was so nice and clean with everything we needed and more. I called your customer service on Sunday with a questions before leaving and I was very well taken care of. I would highly recommend! 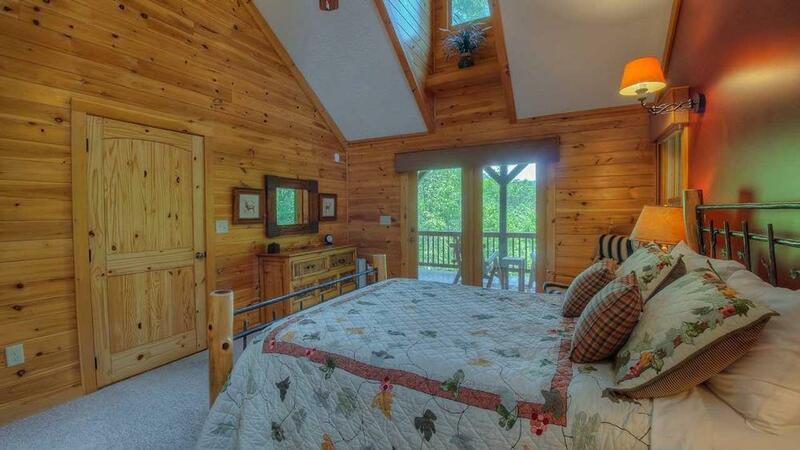 The company made it easy to search for a cabin, locate it and check in and check out. There were no worries, just fun family time. 03/16- we truly loved the serenity of the location and the beatiful mountain view from most all rooms in the cabin .. Communication via e-mail was great ..
03/16- We loved the theater room and all of the games available indoors and out. The cabin was decorated nicely and we had everything that we needed. 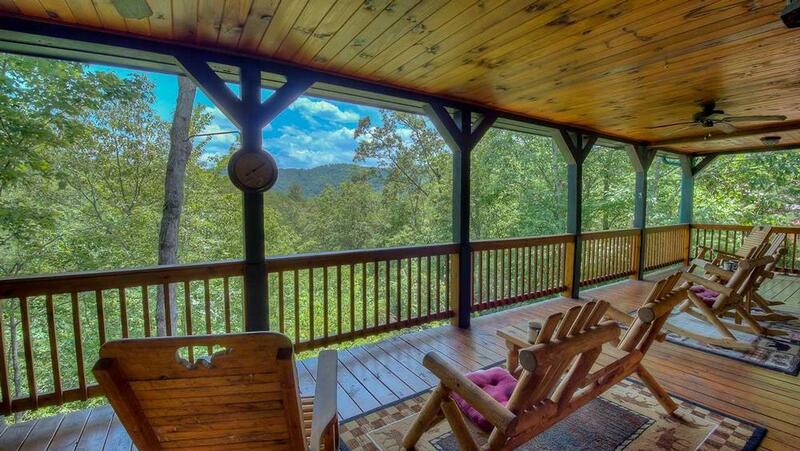 We rent cabins in Blue Ridge sometimes twice a year, and Escape to Blue Ridge is our favorite company to rent from. We love the complimentary bag with local goodies inside, and the cabins are always set up (pilots lit in season), and there are always plenty of paper towels, soaps, and trash bags to get you started. Great Company and friendly staff. 02/16- The spacious bedrooms was suitable for everyone. The wrap around porch was very convenient for moving around the house. All staff was so accommodating and professional. They had patience with my crazy questions or the unknown cabin life and I truly appreciated their patience and assistance. Great job. Thanks. 01/16- The view and the setting was perfect! 12/15- The movie theater was a big PLUS!! The seats were extremely comfortable, it was cozy, and also had Netflix. 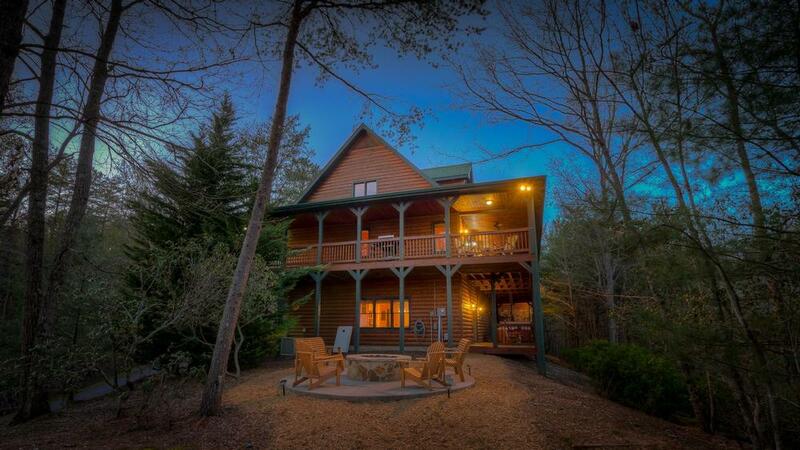 Escape to Blue Ridge is an excellent company to rent from. The reservation process, check-in/check-out procedure is very convenient. My family and I have never been let down. 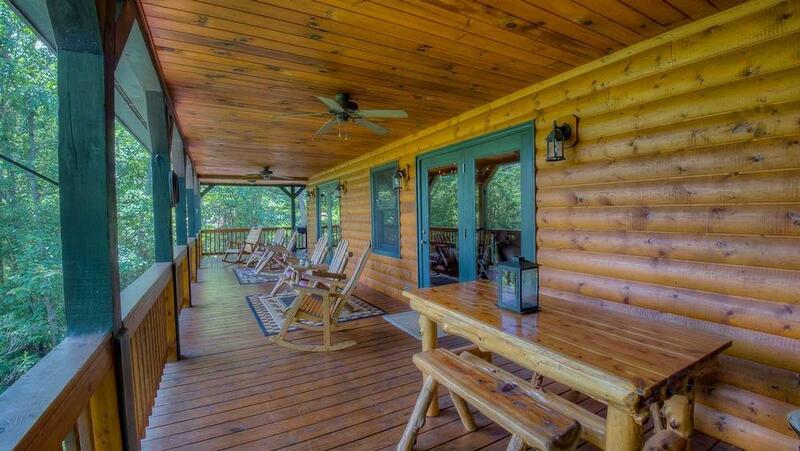 The cabins are beautiful, and the staff is awesome. 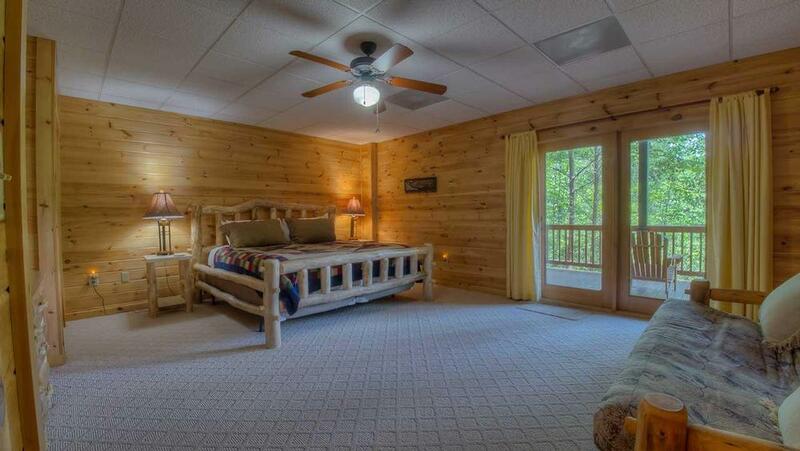 We look forward to continue using Escape to Blue Ridge for future family vacations. 10/15- We really loved the fact that we all had at least a queen or king bed. 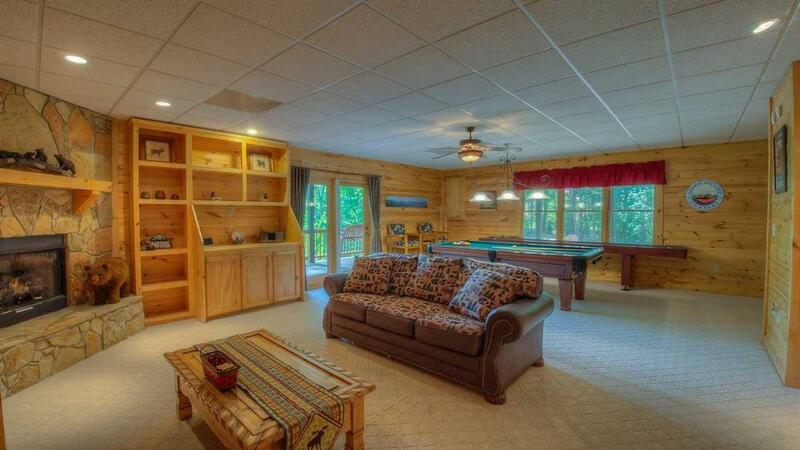 Loved the game room, pool, air hockey table, corn toss, horseshoes. The kids loved the Jacuzzi and the theater room. Nice having the fire places. 09/15- furnishings and decor were well done. 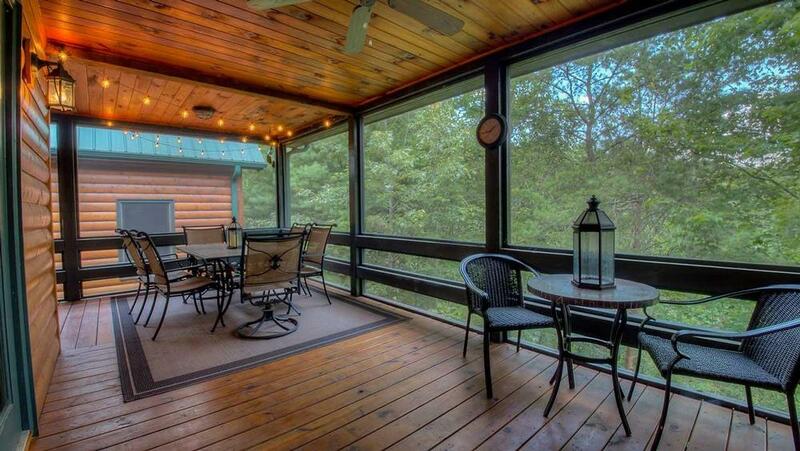 The Deck, Movie Room, game room, TV's were great. 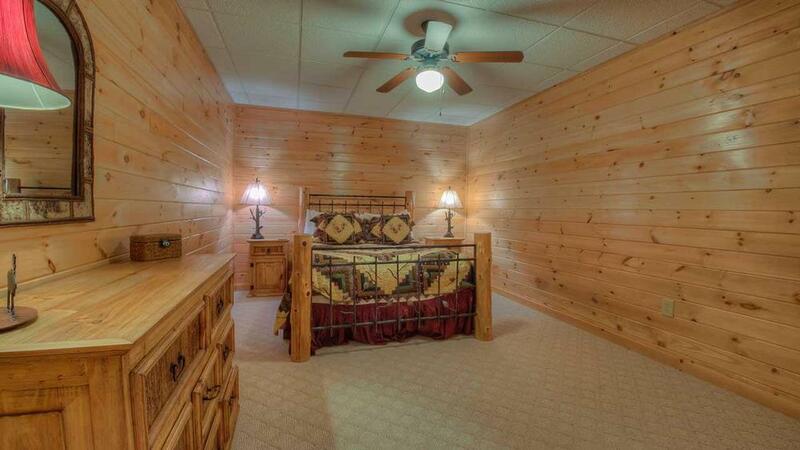 Large bedrooms and King beds were excellent. 08/15- We used the hot tub and grill, very nice. 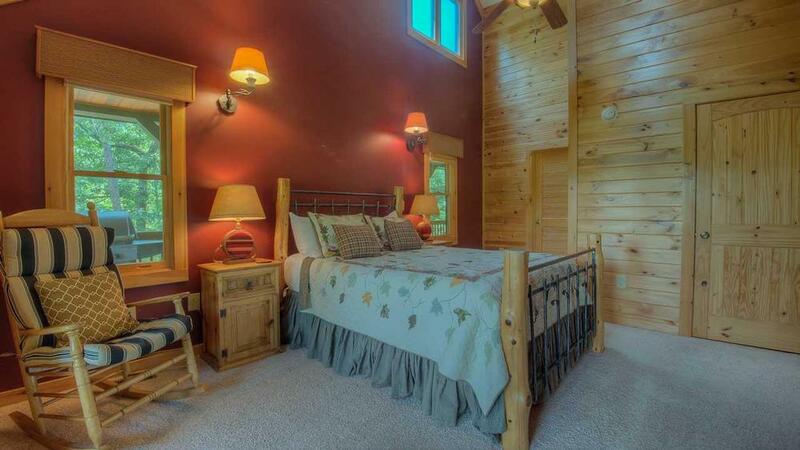 The house was clean and beds were very nice. Loved the views and recreational things to do there. Your company is friendly , prompt with communication, and helped us immediately when we had a question. Example was using the grill and the hot tub and also code to get in when we arrived. You made our vacation very enjoyable. 07/15- We really enjoyed the uppder deack overlooking the mountains. The great room was an awesome gathering place for the entire bunch too. 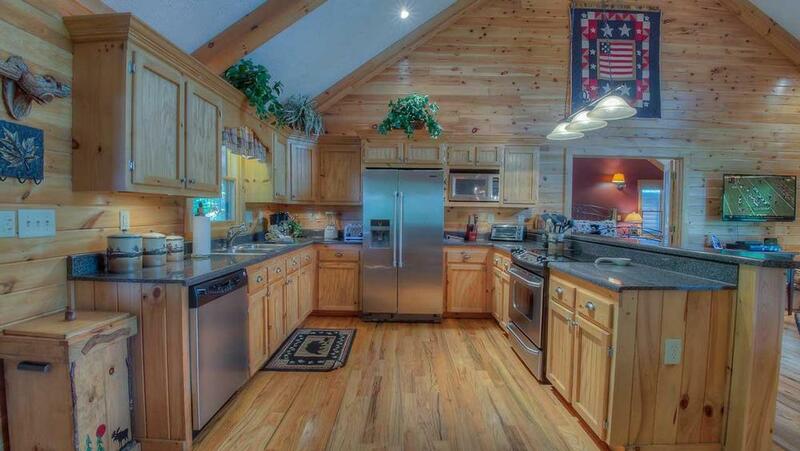 11/14- We loved the decorations in the cabin style themes, kitchen was open to the big family room. Loved that the decks were around the entire home, front/back/sides. The firepit was nicely done and we loved the theatre as it allowed those in our group to watch football and another group to watch a movie. 10/14- The roommate floor plan upstairs provided privacy. The movie room in the garage was a hit. 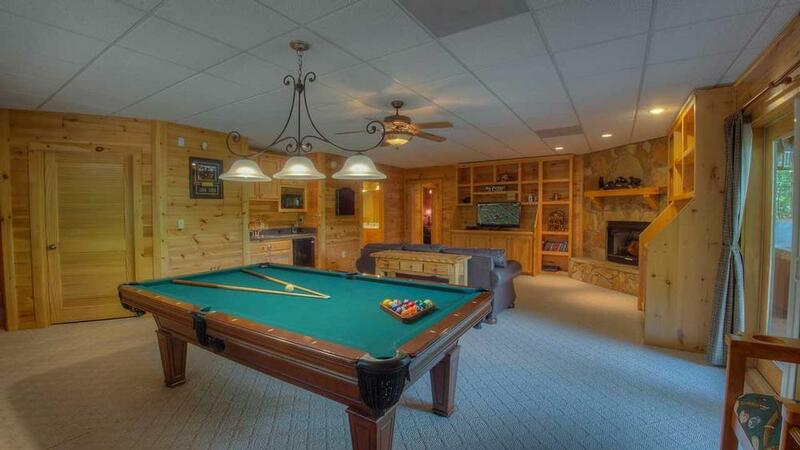 Plenty to do with the pool and shuffleboard. The fire pit was wonderful. 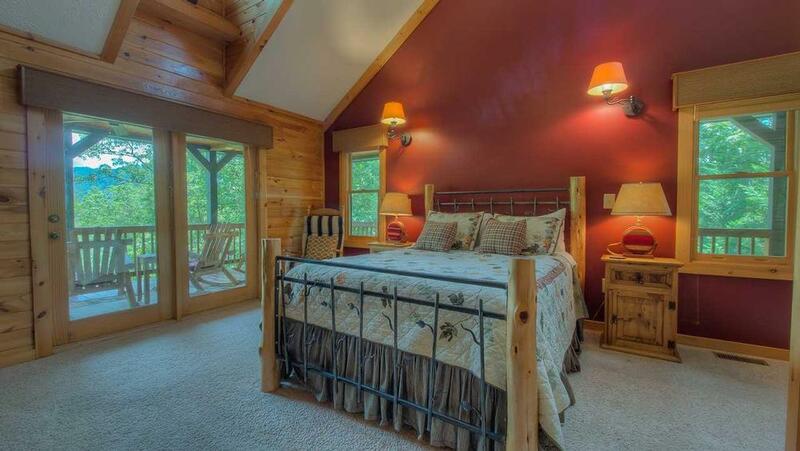 09/14- I love the whole cabin. Everything was just perfect! Myself and the other couples especially the ladies loved everything. There was never a dull moment with our stay. This is my husband and myself second time coming to Blue Ridge and booking with Escape to Blue Ridge! Seems like the cabin features are getting better and better. The customer service ladies are nice and professional. Guest services was nice and helpful also when needed. The game room kept the men busy! 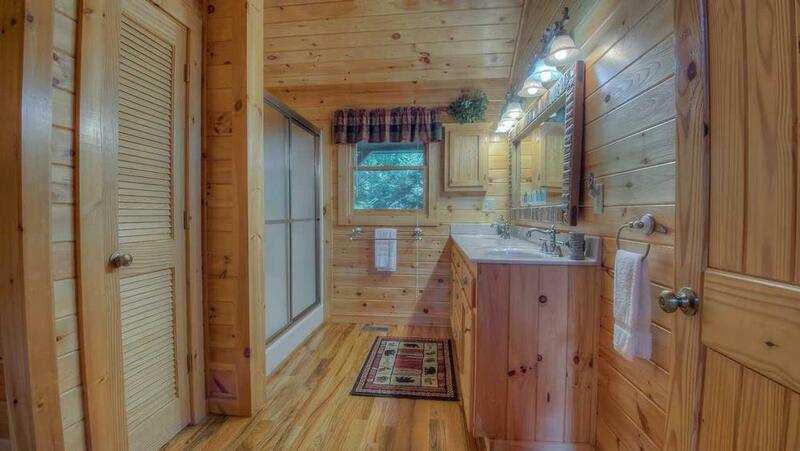 All the amenities the cabin had was acommodating for everyone. My husband and I will be back for sure!!! Cya next time and thank you so much!!!!! 08/14- The theater was AWESOME, AWESOME, AWESOME. The wraparound deck/porch was great as we sat outside all of the time rocking and swinging, and even ate a lot of meals there. We enjoyed the pool table and hot tub also. Overall the cabin was very nice. 7/15/2014-The house was clean/and very comfortable. I brought the FFA Officer team for a 3 day work session. The students were very pleased with the game room and home theater. 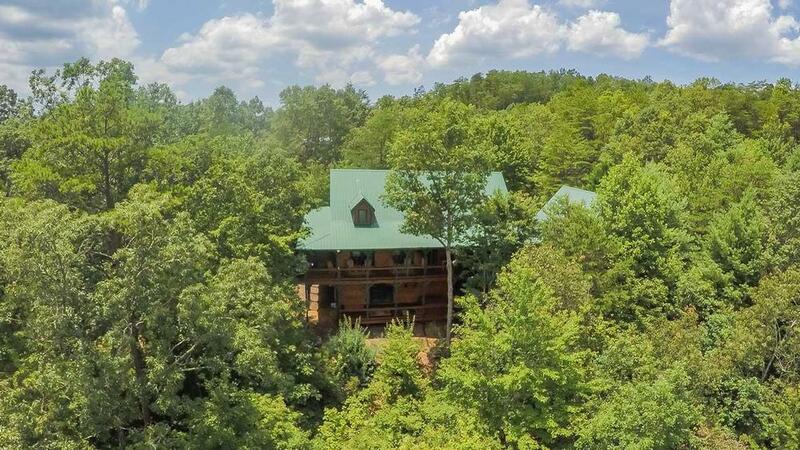 I would recommend the house to other colleagues and friends.The staff at Escape to Blue Ridge has been extremely helpful from beginning to end. Several of my students wanted the name of your company for possible future family visits. 06/18 - We had a blast at the fire pit making s'mores. The wrap around porch was awesome as well. This was my third visit and so far I've enjoyed this cabin the most. 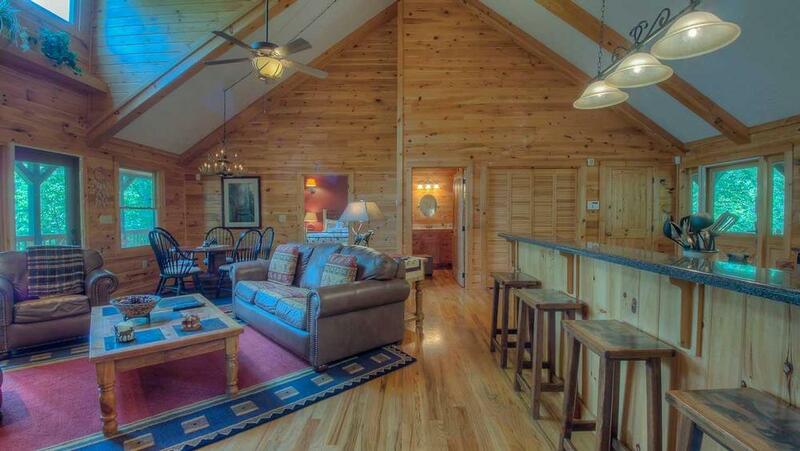 This was perfect for a family trip in conjunction w/ another cabin (All Decked Out) that we rented. Amazing company!!! Never a disappointment!